Improvement of scientific knowledge and treatment technology for the aligner orthodontic appliance. Share the information, share the merit of various aligner orthodontics appliance. 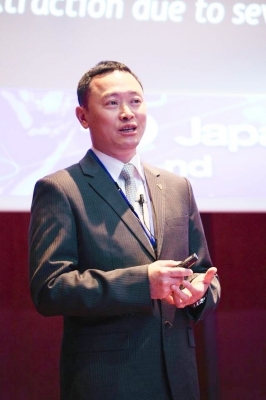 Cooperation not only Japan (JAAO) but also Europian, American or Asian Aligner Orthodontic Society. Japan Academy of Aligner Orthodontics（JAAO） is an initiative of experts in the field of orthodontic treatment using clear plastic splints. The aim is to demonstrate and promote the benefits of the increasingly popular wire-free orthodontics. 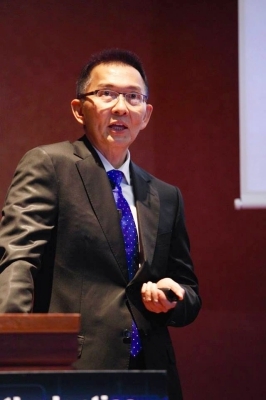 This is achieved by establishing and supporting research projects in this field, continuing education and symposia and working closely with national and international professional associations. Amazing aligner orthodontic systems are being developed world wide. These approaches utilize orthodontic appliances which cover the occlusal surface, representing a fresh, non-traditional approach to orthodontic treatments. On the first day of the 2014 meeting of the AAO (American Association of Aligner Orthodontics) 4 presentation slots were dedicated to aligner appliances. Professor Tim Wheeler’s presentation introduced over 50 different aligner treatment systems used around the world. Japanese systems were notably absent from this presentation. I realized that at that time, Japan was not counted among countries with treatment systems on the cutting-edge of aligner orthodontics. 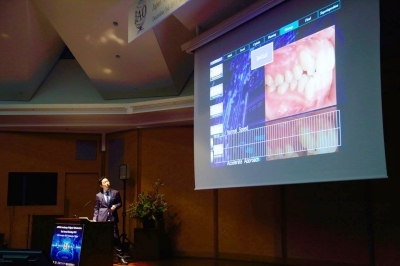 The first symposium of aligner orthodontics my colleague Dr. Dan and I attended was the second annual meeting of the German Association for Aligner Orthodontics (DGAO) in 2012. The environment we experienced was respectful, without a hint of criticism; purely a place to study, present and exchange opinions on different aligner orthodontic systems. It became my mission to foster a similar atmosphere in my own country and 2 years later, in 2014, we were able to make this dream a realty through the first meeting of the JAAO. 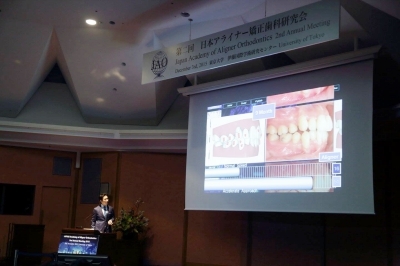 My main motivation for holding symposia such as this one is to foster an opportunity to breakdown the barriers between practitioners of different aligner orthodontic systems and bring them together to exchange opinions and information, broaden our collective knowledge of treatment possibilities, and ultimately transfer these benefits, through better treatment ,to our patients both in Japan and in our respective countries of practice. In November of 2014, I was honored with the opportunity to present at the DGAO on Invisalign Orthodontic Treatment. The event hall was filled with over 600 orthodontists, not only from Germany, but from Italy, France and Spain as well. Following my presentation, I was inaugurated as the president of the Asian Chapter of the DGAO. Ever since, has been our collective goal to deepen the exchange between academic societies of aligner orthodontics of Germany and Japan. The DGAO was founded 5 years before the JAAO. 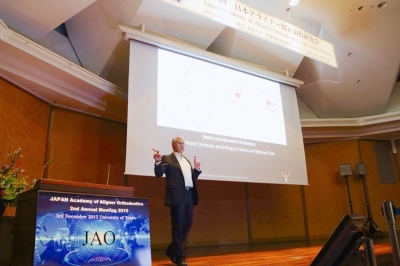 The JAAO may still be in its infancy, but we expect to be the gathering ground of wisdom for the future of aligner orthodontics in Japan.